Pula is one of the most popular tourist destinations in South Sardinia to put together within the same vacation: sea, nature and history. These are the most beautiful beaches of Pula and Santa Margherita di Pula for those who have decided to spend a vacation in this beautiful area of South Sardinia. Spiaggia di Su Guventeddu: it is located near the beach of Nora and is preceded by a pine forest, ideal for families with children who can have a rest during the hottest hours. The beach is characterized by its fine white sand, shallow waters and rare rocks, and is suitable for children but also for those looking forward to scuba diving in the clear waters. The beach is equipped with bar and it is possible to rent beach equipment. Directions: From Pula, follow the signs to the ruins of Nora and stop at the first parking area. Spiaggia di Nora: Nora beach is one of the most beautiful beaches of Pula due to the beautiful scenery near the archaeological site of Nora. It has the aspect of a Bay with fine sand and shallow sea. The beach is sheltered from the wind and it is protected by a reef and the promontory with the Tower of Coltellazzo. It is very convenient thanks to the presence of ample parking and dining options, it is also ideal for families with small children. Directions: From Pula, follow the signs to the archaeological area of Nora. 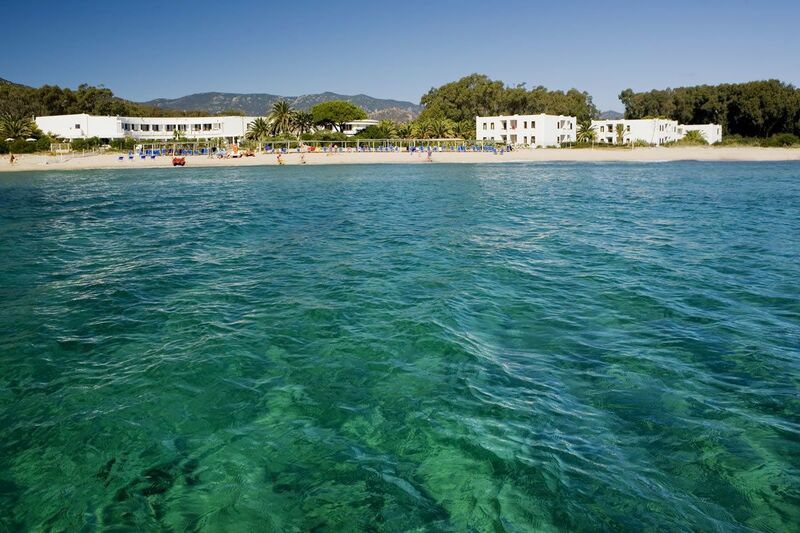 Cala Marina: This is a large beach of fine sand which is characterized by clear water and sandy and pebbly mixed sea bottom. It is a favourite spot especially for kite surfing and windsurfing lovers because it is often windswept. Directions: driving along the SS 195 to Santa Margherita di Pula the beach is located at Km 33.800. Cala Bernardini: this is a Bay of fine sand and shallow waters with an emerald green sea, suitable for children. The beach is protected by the maquis vegetation and in the surroundings you can explore other smaller coves. Directions: driving along the SS195 beyond Pinus Village, Km 41.9.